I’ve been blogging since 2006 and while 99% of the time I love it, I have learned that there a few things I find incredibly irritating and painful to deal with. Unfortunately, these are things that you as a blogger will also have to deal with. These things will interrupt your plans, try to ruin your day, and often just make you really angry. All of these things will happen and there isn’t a whole lot you can do to prevent them from occurring. What you can do is understand and accept that they will occur, often at the worst times, and when they do, undertand how to deal with them. I’m not really sure why and I doubt even the most educated of psychologists can explain the behavior, but eventually a troll will target your blog. Perhaps they are jealous, angry, lonely, bored … who knows? I was targeted by a blog troll about a year after I started my personal finance blog. This person would disagree, in the most disrespectful way possible with pretty much everything I wrote about. Why? Just for the sake of disagreeing and stirring controversy. My big mistake was responding. 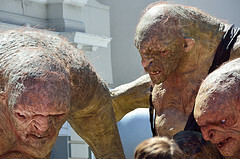 Yes, I admit it, I fed the troll … for far too long. Once I realized this person was intentionally trolling me, I started deleting the comments and blocking them. Only to find another set of comments the next morning from the same troll, angry because I tried to block them and accusing me of censorship. The good news is that if you get a troll, it’s a sign that your blog is doing well. See, trolls like attention and only attack blogs and posts that get a decent amount of visibility. When you finally get a troll (and you will), the bright side is that having a troll is a good sign you’re successful. I know, sad, but true. Tip: Ignore the troll and they will go away. So very easy to say, but so very hard to do. But trust me, it works. Check out Rand Wilson’s recent video on this same subject. Not only will your site go down, it will go down on a critical day when you’re linked from some big website or blog. I spent almost a week crafting a blog post I was planning to publish on Get Rich Slowly. For those of you not familiar with the personal finance blogging space, Get Rich Slowly is one of the “big boys”. I must have proofread that post 50 times, before I finally got the nerve to send it to JD Roth via email. I didn’t expect to hear back from him, but it was worth a shot. A week or so later, I received a reply letting me know that my article would be published. I was thrilled!! I immediately crafted up a “Welcome Get Rich Slowly Readers” post that I would publish at the same time my guest article went live. The day came and my guest post went live (I was blogging anonymously at the time under the pen name glblguy , GLBL, or Gibble as Lynnae McCoy so named me). I hit the publish button for my “Welcome” post and pulled up Sitemeter to start watching the big traffic rush. Not 10 minutes later, I started seeing error messages: “DB Connection Error”. Dreamhost, the terrible company I was hosting with at the time, had some big database issue that was impacting a very large number of their sites. Something to do with their storage arrays. Regardless, my site was down. I opened a ticket with Dreamhost, only to be told that they were aware of the issue and working as quickly as they could. 8 hours later, my site came up. But even then was up and down for a few hours after that. I lost a significant amount of traffic and exposure. I was livid, but there was really nothing I could do. While this was certainly the worst outage I’ve ever had, I’ve definitely had others since. I did end up moving to Media Temple, which has proven to have a much higher up time, but even they’ve had issues that caused my sites to be down. The internet runs on computers, and we all know, computers aren’t perfect. The bottom line is, your site will go down. Sometimes in the middle of the night when it doesn’t matter, and other times at the absolute worst possible time. Know that it will happen, be prepared for it and accept it. Tip: The single most important thing you should be spending your money on is high quality hosting. If your blog is down or slow, you are literally turning people away at the door. Invest in high quality hosting upfront and know that it’s going to cost you, but in the long term it will save you. Having your content stolen and republished on some lazy jerk’s site that is trying to make a quick buck is another sign that your blog has reached the “big time”. 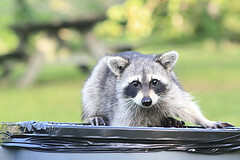 On my personal finance blog my content was stolen almost weekly. Unfortunately it’s recently started here on Side Income Blogging as well. See, there are these lazy good for nothing jerks out there who like to set up websites that subscribe to your blog’s RSS feed. These sites then republish your content on their blog (commonly called scrappers). The big problem is, these lazy jerks often pay some SEO guru to get their site to rank high in search engines, so the scrapper ends up out ranking you for your own content and make money from it. Fortunately for us, Google has recently done some things with the Panda updates and with authorship that really help this, but it still occurs. Let me tell ya, I go after these jerks like bees on honey, every single time. I didn’t care how small their site is or how much of my time it takes – I am ruthless about it. I work very hard to build up my blogs and work hard on my content. I am not going to allow some freeloading thief to get rich from my hard work. Not gonna happen. There is NO excuse for stealing someone’s content. I see “bloggers” republish content from other bloggers every so often, claiming they were just trying to promote the author’s great article. They’ll claim they didn’t mean to steal the content and thought it was ok since it was a blog. Uh…sorry, but common sense should tell you this is wrong. I mean, would you copy an article from your local paper, magazine, or from a media site like CNN and repost it? No, of course not, because lawyers would be all over you and you may face copyright charges. Someone’s blog is no different and I really don’t get how people would think they are. I send them an email telling them to take the content down. That email includes a link to the content on their site, and a link to the content on mine. I explain they are infringing copyright law and that they have 48 hours to remove the content or I will escalate my efforts. If they scrapped my images too and are linking to the images on my site (this commonly happens when they scrape your RSS feed), I redirect their image request to an image that says something like “THIS IS STOLEN CONTENT”. If the content is not down in 48 hours, I proceed to step 2. I file a DMCA take down notice with their hosting company and domain name provider. In the DMCA takedown, I include a link to my original article, and the copied article. 95% of the time, this does it. If the content isn’t down in 48 hours, I file another DMCA and I email the hosting companies support to make sure they got it. I will escalate this to the head of the hosting company if the content isn’t removed. If that doesn’t work, I’ll have an attorney send them a letter. If I reach this point, the letter almost always does the trick. Attorney’s are expensive though, so I don’t like to take it to this level. I’ve only had to do this twice. For sites housed in foreign countries, much of the above won’t work and these jerks know it. So they will ignore you. The good news is that most of these jerks make money using Adsense. If they ignore me and run Adsense, I hit them where it hurts. I report them for Adsense Terms of Service violations. You do this by visiting their site, finding an Adsense ad and clicking on the small arrow often in the bottom right hand corner. Right now it says “Ad Choices”, but Google changes this sometimes. That link will take you to a page where you can report the site for violating Google’s terms of service. This works, as I’ve received a number of very angry and harsh emails from the scrappers because they’re Adsense account was banned. Don’t let people steal your content and take it very seriously. Murphy’s Law states: “Anything that can go wrong, will go wrong“. Keep multiple and frequent backups of your blog. This single item has saved me SO many times, I’ve lost count. Keep the support contact information for your blog and any other pertinent information handy. I keep my information in Evernote so I can access it anywhere. If you aren’t technical, foster a relationship with someone that knows WordPress and blogging that you can rely on when you get in trouble. If you don’t have anyone like this, I would be more than glad to be that person for you. I do this for a number of my clients. Set-up Google alerts so you can see when people mention or link to your blog. This is often a great way to spot stolen content. Review your site on Copyscape fairly often or sign-up for their alerts. Most importantly – When a troll leaves a nasty comment … when you get an email from some reader calling you stupid or worse…when your site is down and it’s out of your control … just walk away. Go play with your kids, or talk to your wife. Go for a walk, play your favorite game or read a book. This kind of stuff happens to all of us. Just walk away and calm down. Your blog, and it’s challenges will be there when you come back. How about you? 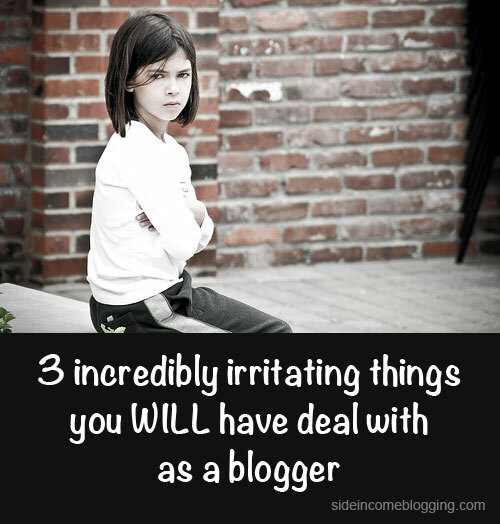 What blogging related things irritate you? What are your pet peeves? Leave a comment! All of these are very, VERY true, and every single one has happened to me! Great post Mr. Larry! Thanks Rand, and I figured for as long as you’ve been doing this you have seen them. I have a few more I’ll write on later that I’ll bet you’ve dealt with as well. This stealing content thing is so common.. And I don’t give a damn about it. Great article. I am just getting started with my own blog so, as always, you have some great tips. Thanks! Had never heard of Copyscape, and had signed up for Google alerts for other content but not my own! Great idea. Indeed, these are incredibly irritating things! The most annoying is the jerks that steal the contents you have spent so much time and energy to create. Its just too frustrating that these scrappers do this blatantly. Some of these lazy jerks don’t even leave a link back to your site or blog. This is plagiarism at the worst level! However, its good to know that you can do something to stop this act. The suggestions or tips discussed Larry Deane are recommended for bloggers who face similar issue! I’m starting a new technology blog this month and i’m just in the course of developing content and its design and all. Truthfully, i have found this post very helpful, its definitely going to help me out when i launch the blog soon. Glad to hear that Ian. Don’t launch your blog soon though, launch it today! No better time than right now.